technologies are used in a single transaction on average. increase of code over the last 20 years. 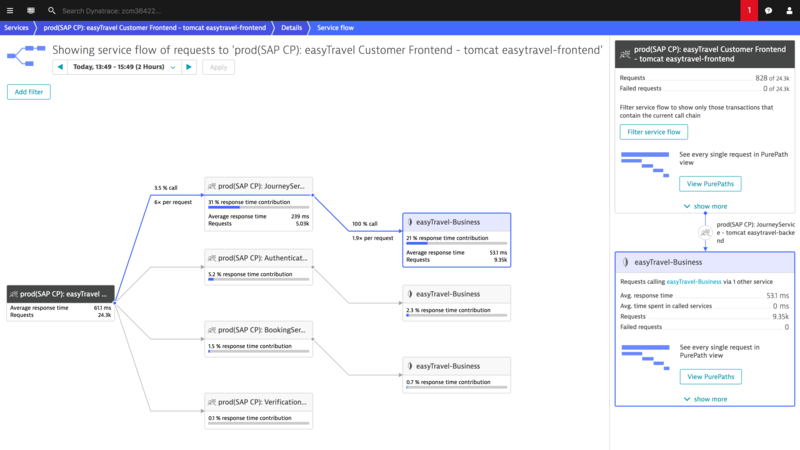 Automatically discover and map your application ecosystem simply by installing the Dynatrace OneAgent. High fidelity view of the entire application stack, from the performance of applications, cloud infrastructure and user experience. Effortlessly detect problems, along with their business impact and root cause. Get answers, not just a bunch of charts and data. No more digging through code, log files and server metrics. 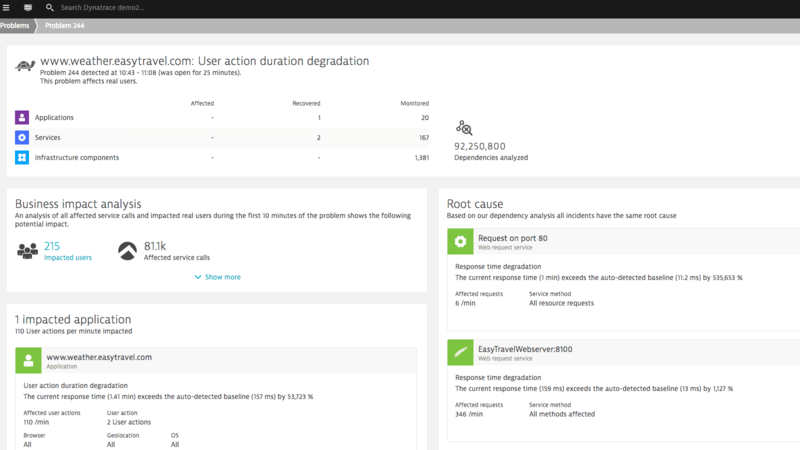 Dynatrace AI analyzes billions of dependencies to give you simple answers – what is the problem, what is the business impact, and what is the root cause. See how everything is connected. 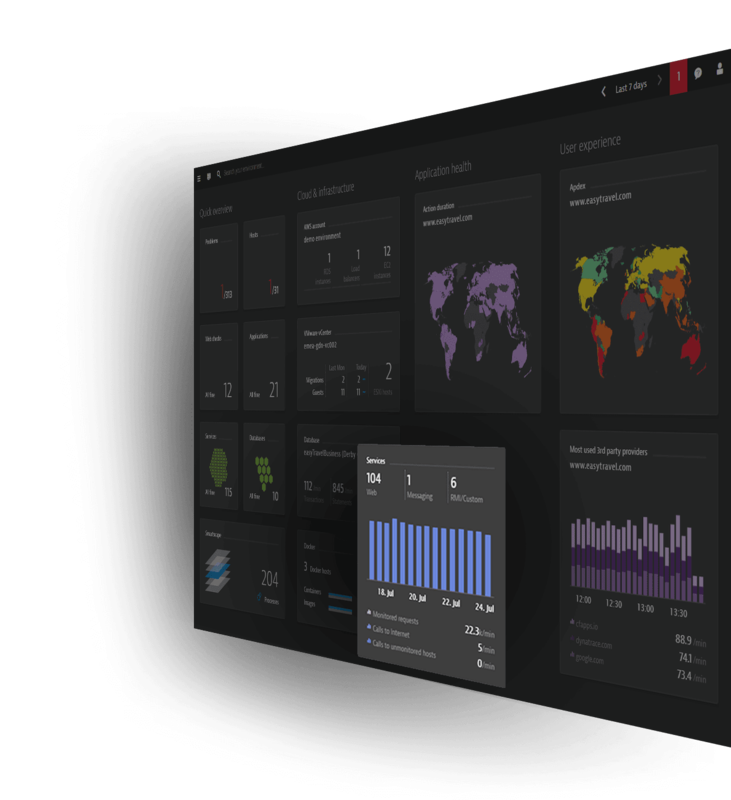 Dynatrace automatically discovers, maps and monitors every component of the full stack, from the application, the underlying infrastructure, and the experience of all users. 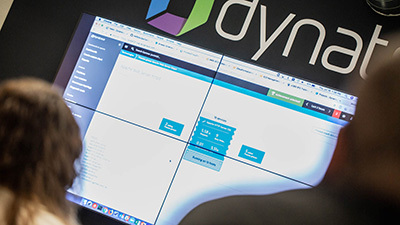 Dynatrace has the broadest coverage of any monitoring solution, including languages supported, application architectures, cloud, on-premise or hybrid, enterprise apps, SaaS monitoring, and more. 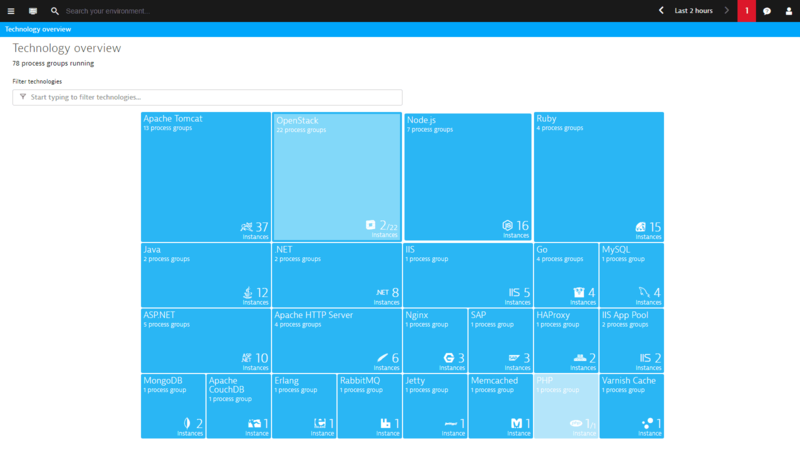 Dynatrace automatically discovers and monitors dynamic microservices running inside containers. 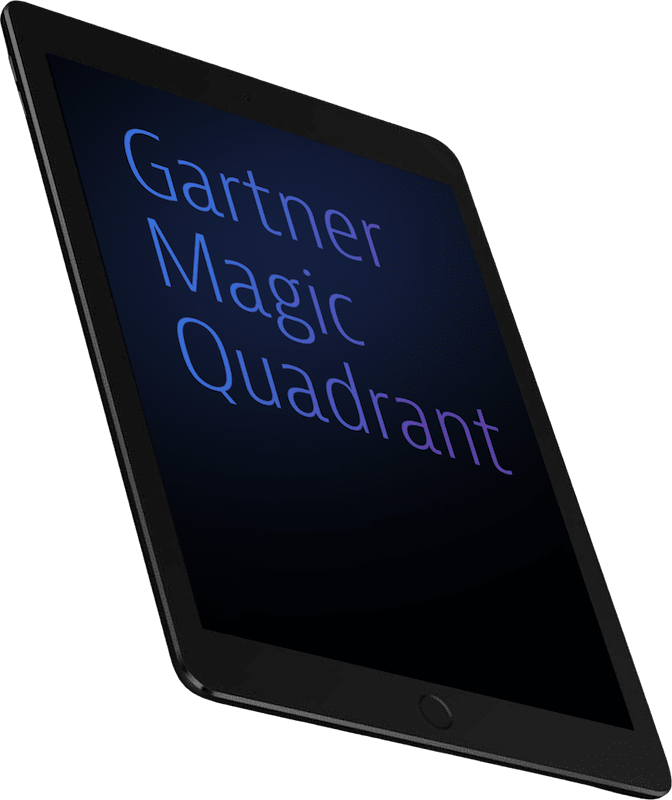 See how they&apos;re performing, how they communicate with each other and immediately detect poorly performing microservices. 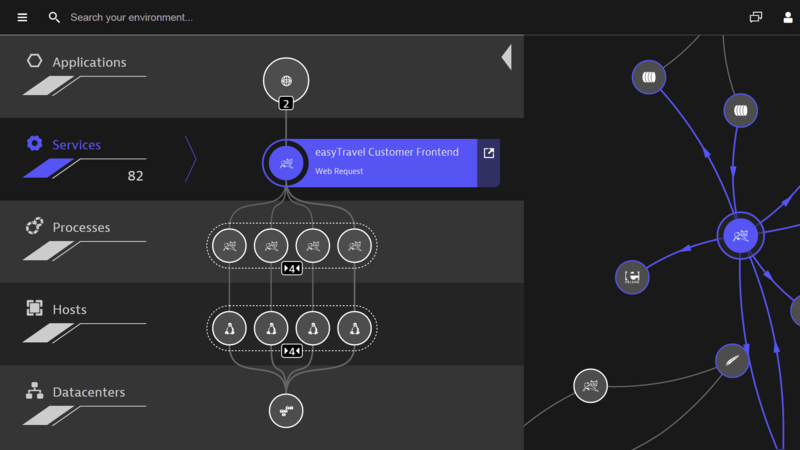 Dynatrace tracks every build moving through your delivery pipeline, every operations deployment, all user behavior, and the impact on your supporting infrastructure. So you can push new code into production reliably and quickly. 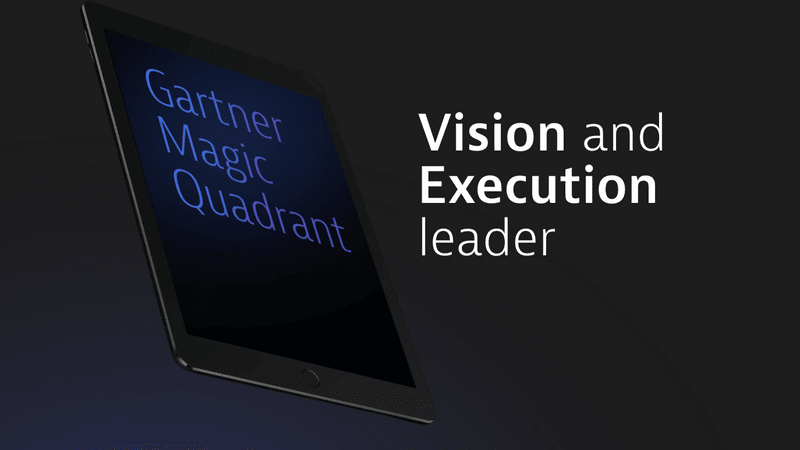 Infographic: Is traditional monitoring dead? 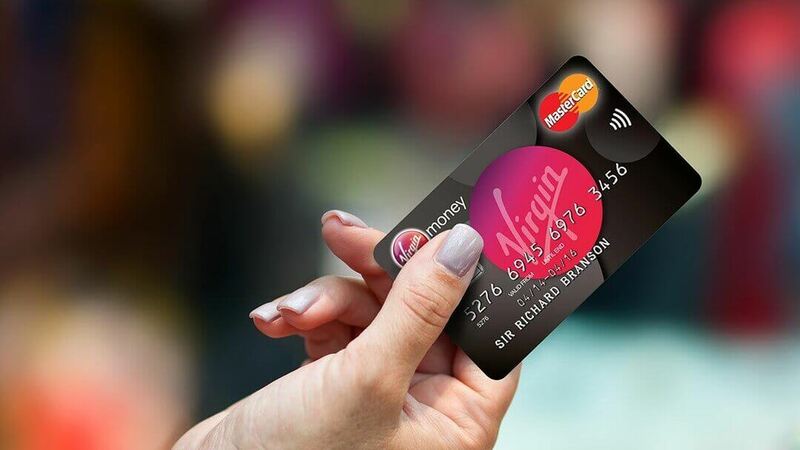 Case Study: Virgin Money gets full visibility into their complex application environment with Dynatrace.